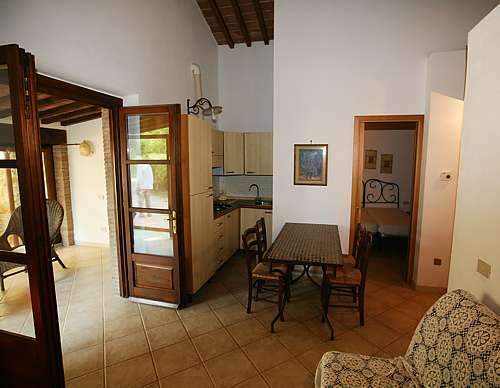 Charming Tuscan Villa – very close to beaches and ocean. 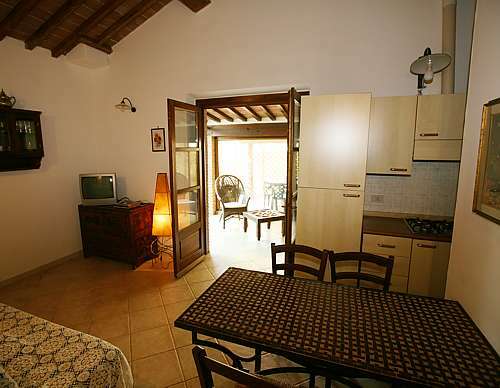 Lovely independent cottage for 4-6 Persons. 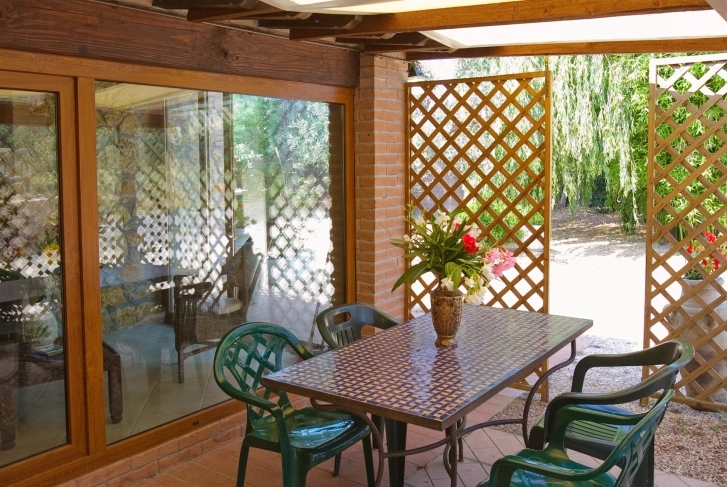 Beautiful 1000 qm fenced in garden with Mediterranean vegetation. Splendid covered Terraces with all equipment. Children safe Swimming Pool and barbecue area. Ocean and beaches within 10 Minutes reach. In the kitchen a marble table is perfect for any kind of preparation. 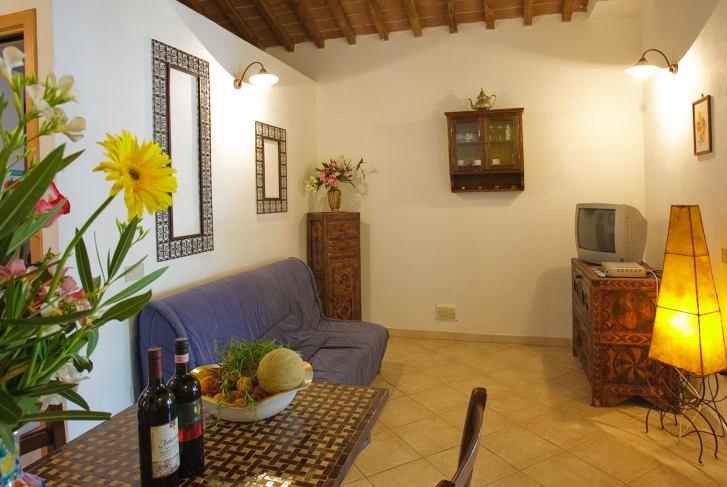 Here you´ll find an oven, stove, large refrigerator with freezer, a washing machine and all necessary tableware and equipment to prepare a delicious Tuscan dinner. A massive wooden table gives place for 4 to 6 people. In addition there is an sleeping sofa and a television with English programs. PRESELLE has enjoyable terraces, a small one directly in front of the house and a another one by the pool. 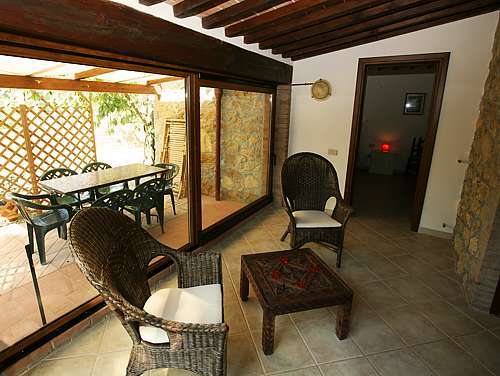 You access the terrace through a glass door directly from the comfortable living room. Most of the time you will probably spend outside. The almost tropical vegetation is blooming beautifully till late autumn and you will enjoy incredible lots of sunshine. The wonderful beaches of Cecina are only 5 km away. There you find infinite long beaches 50 to 100 meters wide with some organized beach facilities including sun lounges, chairs and cafes. 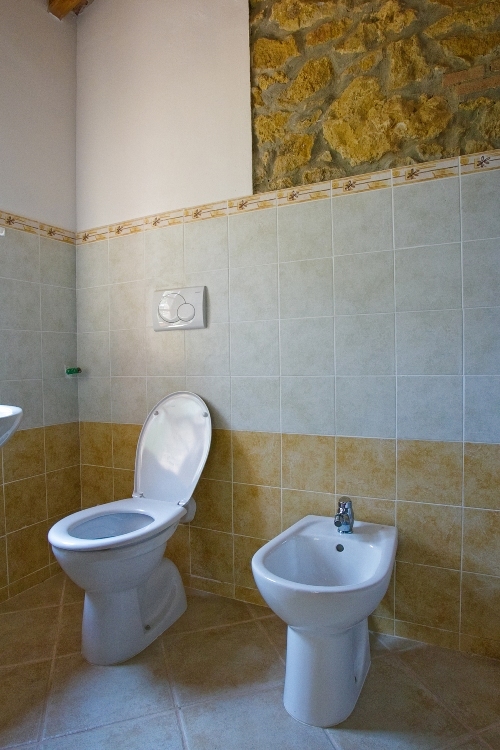 PRESELLE has 2 bedrooms and 1 bathroom with shower, WC, bidet and sink. 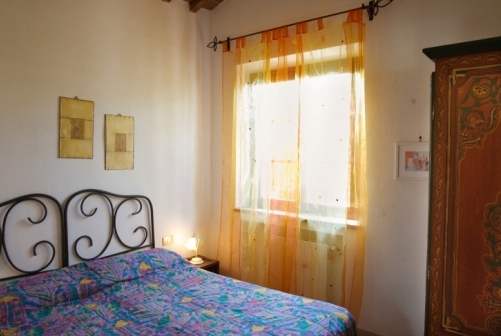 one with a double bed and one with twin beds, which can be joined to form another double bed. A sleeping sofa in the living room can be used for 2 extra persons. In the house can comfortably sleep 4-6 people. Showers were very good. 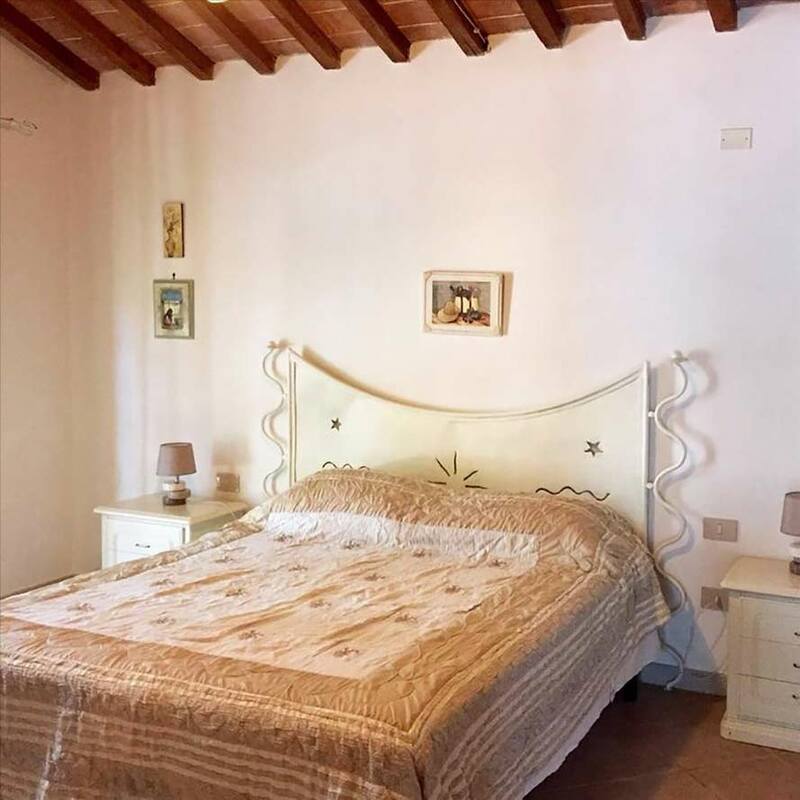 Large main bedroom. Good washing machine. Bring microwave and fans. Make sure you bring floaties or rubber rings if you have small children as pool has no shallow end.